Thank you for sharing this. It is heartbreaking. I am so glad that her father broke the gag order and is speaking out. This needs to stop! There are way too many cases of it. Have you seen the trailer for the Un - diagnosed movie that is being worked on? Selena, good job in bringing this topic up. Even my own mother was told her symptoms were in her head for years and given anti-depressants for peri-menopause! It's painful when I hear of this kind of abuse. I've seen it as well with a personal friend when her child's prinicipal demanded her child be placed on drugs for ADHD--that he was NOT diagnosed with--instead he had a sensory disorder and was properly accommodated and is now recognized as genius. Thank you for sharing, Caroline. It's sad and discouraging how often this kind of thing happens. You would think as science/medicine advances that diagnostic abilities would improve, but instead, we are seeing more and more conditions that are hard to pinpoint. Rather than admit that perplexing trend and look for outside diagnostic help, some physicians just label patients with mental illnesses, which adds insult to injury. This is terrifying. There was a horrible case in Florida where the child actually died. I also know a food allergy mom (who I know wishes to stay completely anonymous) who got a visit from DCF. She believes a substitute school nurse reported her for "overmedicating" with an Epi-Pen. (Long story I'll tell you sometime in person.) My worst fear is that if my child were taken, he would be dead within hours, because it is so hard to feed him safely. Something I've had in the back of my mind is that if I have enough room someday, I'll sign up to be a foster parent specifically for children with food allergies/restricted diets. That has to be a need that we as a community could somehow address. I have followed this case closely. 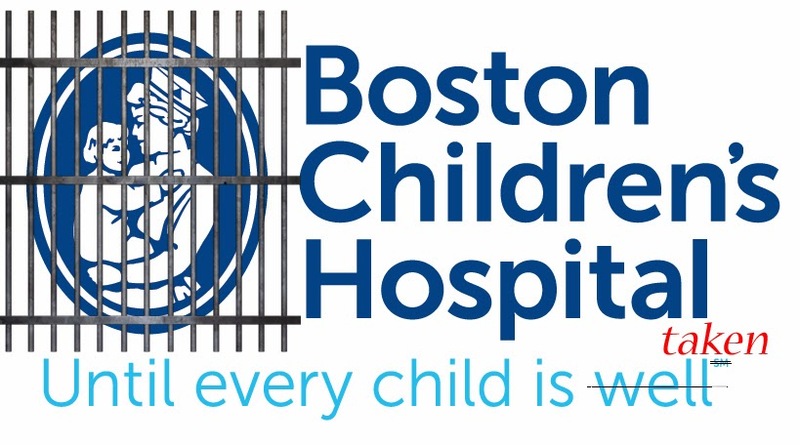 You've given a really biased view here, but it isn't unusual since many people are outraged about this case because they are only hearing the father's side - the hospitals (I include Tufts here) cannot discuss it. The court documents around custody decisions were released a few weeks ago, and a lot of facts came to light, including that CT DCF was also concerned about child abuse from the parents. Most of the year Justina spent at Children's Hospital was because no facility in CT would agree to take Justina because of her parent's behavior, leaving her stuck in MA. This case is ugly and horrible, but certainly not indicative of a new trend toward hospital kidnappings. We should WANT our healthcare providers to look out for and act on behalf of potential victims of child abuse! I think you should look into the legitimate news articles about this case. I'm sure I am biased, given that I was treated as someone with "somatoform" disorder, even though they didn't call it that, back then, and thankfully did not to slap that diagnosis on me. "Luckily" for my parents, they just trusted what the doctors told them (which was flat out WRONG) and were not made out to be "difficult" for questioning things further. Mitochondrial disease, like my condition (Hyperkalemic Periodic Paralysis) can be hard to diagnose and to "catch" it in the act, on lab tests, but it does not make it any less real. I am now "properly" diagnosed to anyone's satifaction, since science has advanced enough, but that does not mean that I was any less affected the day before my test results came back. I thank my lucky stars that I found a doctor, many years back, who was able to diagnose me "clinically", without the need for proof via genetic testing (which is not available for every condition, I might add). The doctors or "professionals" who question Mito's existence disgust me, as I personally know a child who suffers from it and it is not a figment of anyone's imagination. Do I want them to look out for abuse? Certainly. Do I want them to misconstrue frustration and insistence on proper care with "medical abuse"? No. I'm sure I sound angry and biased, but that doesn't negate the fact that there is something rotten in the state of CT. As for whether this constitute a trend, well, time will tell. I would not say it is entirely a recent trend, given the behavior of *certain* doctors, ever since they have existed.